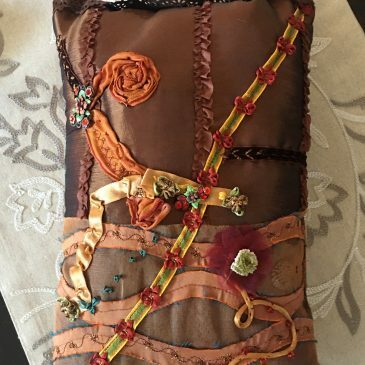 “A Pillow for My Garden” Art Pillow created by Trish Vernazza! 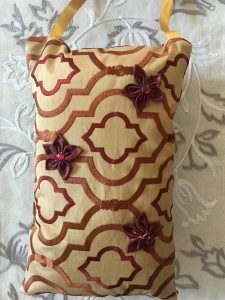 Couture hanging art pillow inspired by the reign of Queen Elizabeth I. Hand-stitched roses and detailed geometric design invoke the feel of the Renaissance era. Available for sale on Etsy.